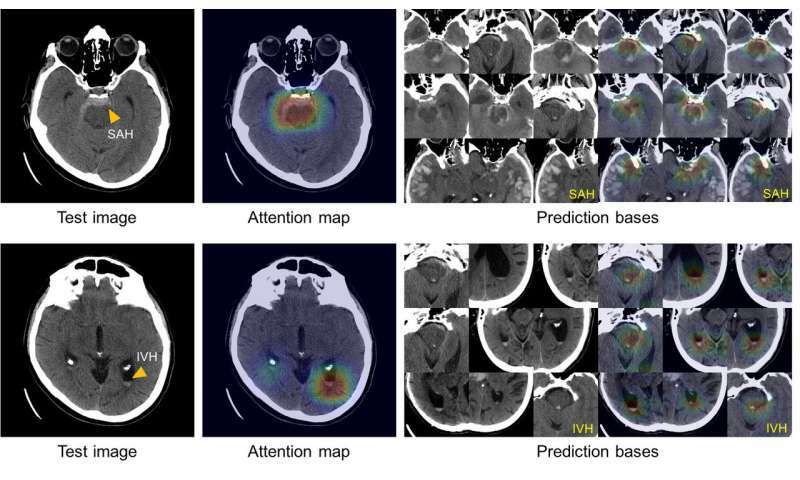 A team of investigators from the Massachusetts General Hospital (MGH) Department of Radiology has developed a system using artificial intelligence to quickly diagnose and classify brain hemorrhages and to provide the basis of its decisions from relatively small image datasets. Such a system could become an indispensable tool for hospital emergency departments evaluating patients with symptoms of a potentially life-threatening stroke, allowing rapid application of the correct treatment. The team’s report has been published online in Nature Biomedical Engineering. While ever-increasing computational power and the availability of big datasets have improved machine learning—the process by which computers analyze data, identify patterns and essentially teach themselves how to perform a task without the direct involvement of a human programmer—important obstacles can prevent such systems from being integrated into clinical decision making. These include the need for large and well annotated datasets—previously developed imaging analysis systems capable of duplicating the performance of a physician were trained with more than 100,000 images—and the “black box” problem, the inability of systems to explain how they arrived at a decision. The U.S. Food and Drug Administration requires any decision support system to provide data allowing users to review the reasons behind its findings. To train their system, the MGH team began with 904 head CT scans, each consisting of around 40 individual images, that were labeled by a team of five MGH neuroradiologists as to whether they depicted one of five hemorrhage subtypes, based on the location within the brain, or no hemorrhage. To improve the accuracy of this deep-learning system the team—led by senior author Synho Do, Ph.D., director of the MGH Radiology Laboratory of Medical Imaging and Computation and an assistant professor of Radiology at Harvard Medical School—built in steps mimicking the way radiologists analyze images. These include adjusting factors such as contrast and brightness to reveal subtle differences not immediately apparent and scrolling through adjacent CT scan slices to determine whether or not something that appears on a single image reflects a real problem or is a meaningless artifact. Once the model system was created, the investigators tested it on two separate sets of CT scans—a retrospective set taken before the system was developed, consisting of 100 scans with and 100 without intracranial hemorrhage, and a prospective set of 79 scans with and 117 without hemorrhage, taken after the model was created. In its analysis of the retrospective set, the model system was as accurate in detecting and classifying intracranial hemorrhages as the radiologists that had reviewed the scans had been. In its analysis of the prospective set, it proved to be even better than non-expert human readers. 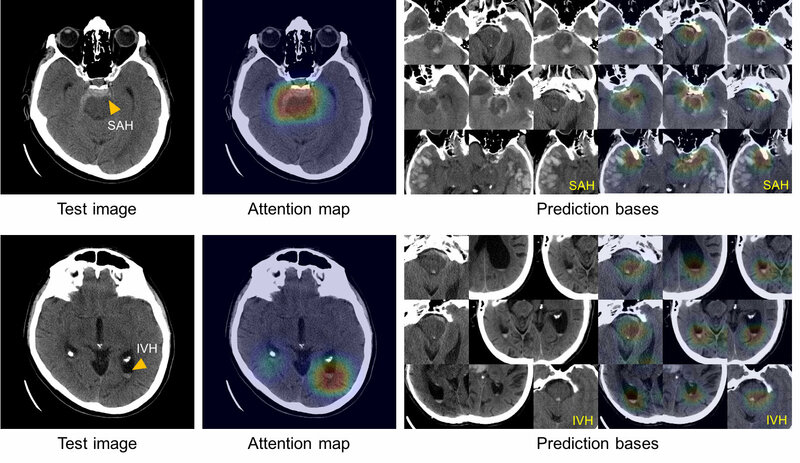 To solve the “black box” problem, the team had the system review and save the images from the training dataset that most clearly represented the classic features of each of the five hemorrhage subtypes. Using this atlas of distinguishing features, the system is able to display a group of images similar to those of the CT scan being analyzed in order to explain the basis of its decisions.